It is with regret and sadness that AALA mourns the loss of J. Patrick Wheeler, who served as President of AALA from 1995 to 1996. Mr. Wheeler received the AALA Distinguished Service Award in 2013, and served the association and its members in many ways. He graduated from St. Louis University Law School in 1951 and practiced law in Canton, Missouri for 66 years, retiring in 2017. During his practice, he had the honor of serving multiple terms as the prosecuting attorney for Lewis County. He received numerous professional awards, including the President’s Award of the Missouri Bar Association, and served on multiple state bar committees and as an officer of numerous state and national legal organizations, including AALA. He cherished the many friendships he developed with his staff, his clients and their families, and the attorneys and judges with whom he worked. 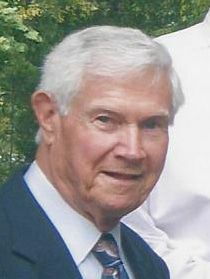 Mr. Wheeler died on July 21, 2018, at the age of 90. A link to his obituary may be found here. Condolences may be expressed online here or mailed to his son, who will share them with the family: Daniel P. Wheeler, Kirkland Woods & Martinsen LLP, 132 Westwoods Drive, Liberty, MO 64068. AALA members who know of a member’s passing should email AALA’s executive director.